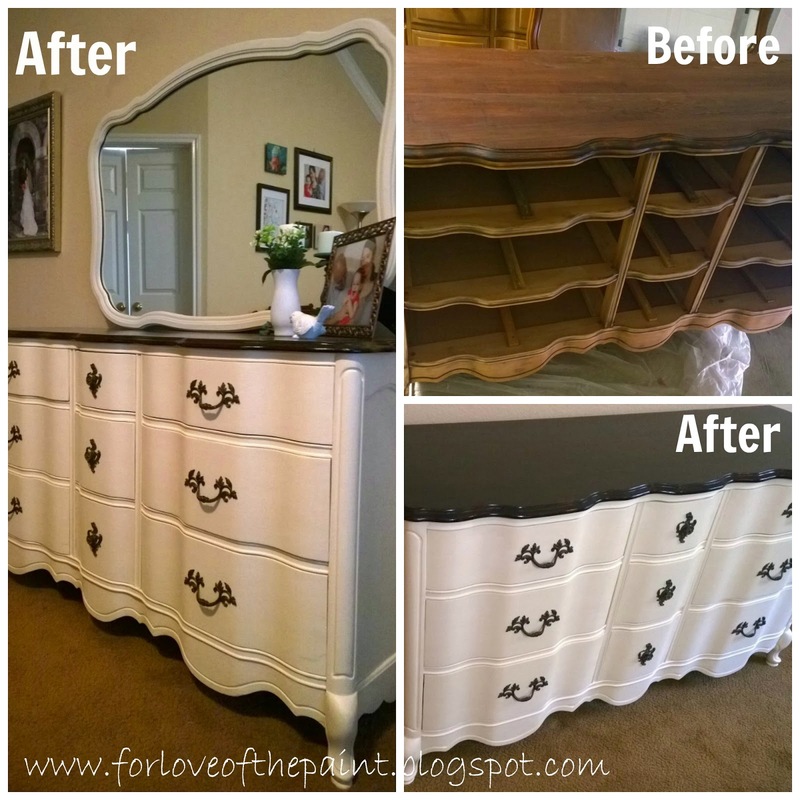 This dresser and mirror was so gorgeous I must have forgotten to take a good "before" picture! I pinky swear to do better in the future. But I just had to share - I refinished the top with a dark stain and the body with Annie Sloan Chalk Paint in Old White. Lovely!! Have I mentioned how much i *adore* keeping original hardware intact when possible?